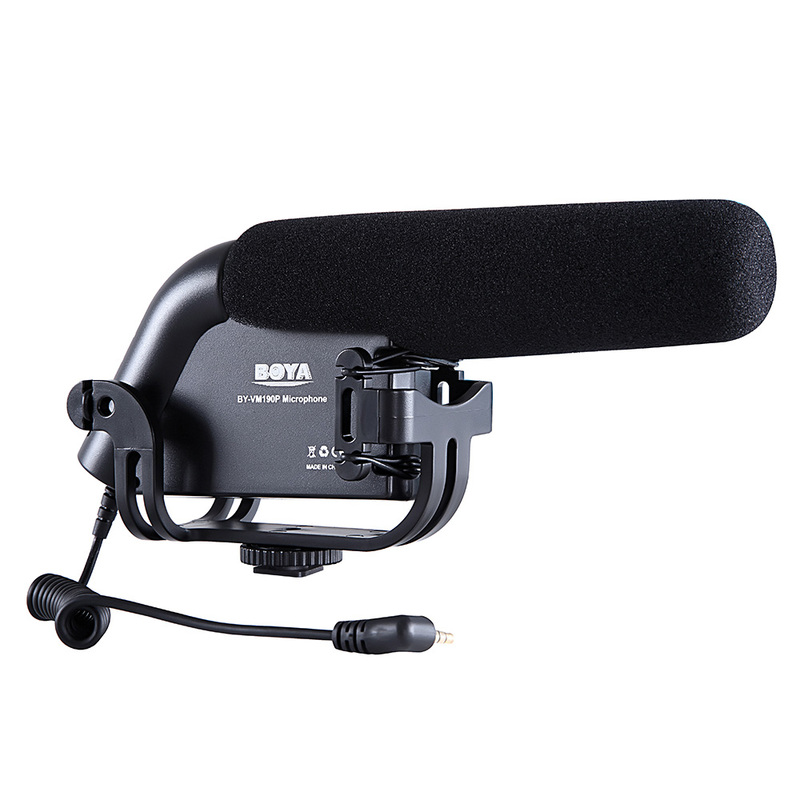 Compact and lightweight design, with a super-cardioid pickup pattern to capture audio from the front, this microphone is ideal for using with DSLR cameras, camcorders, DV and audio recorders. 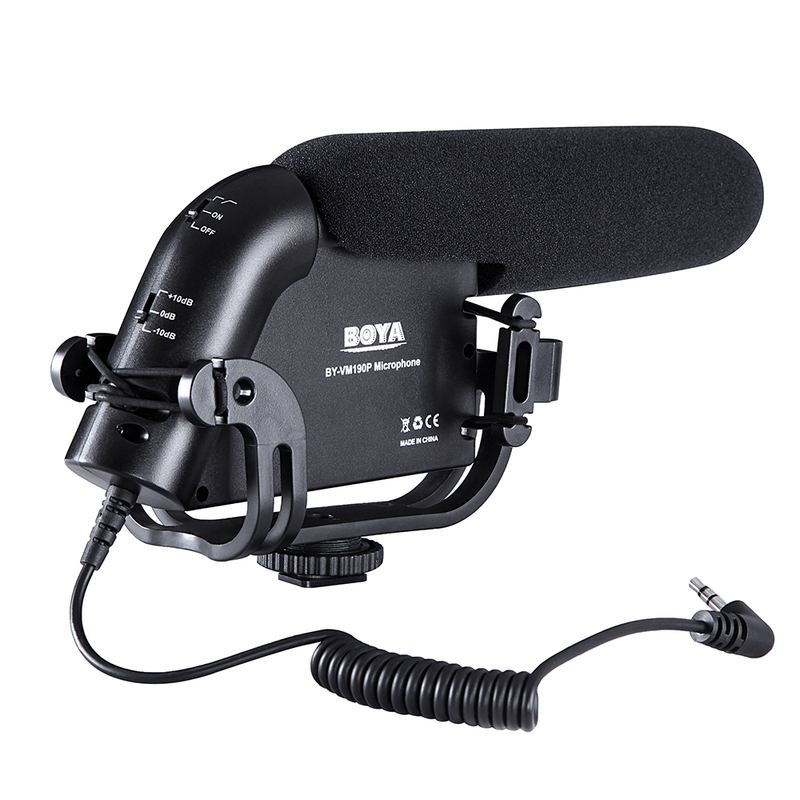 Super-cardioid polar pattern design, easy to capture audio from the front. 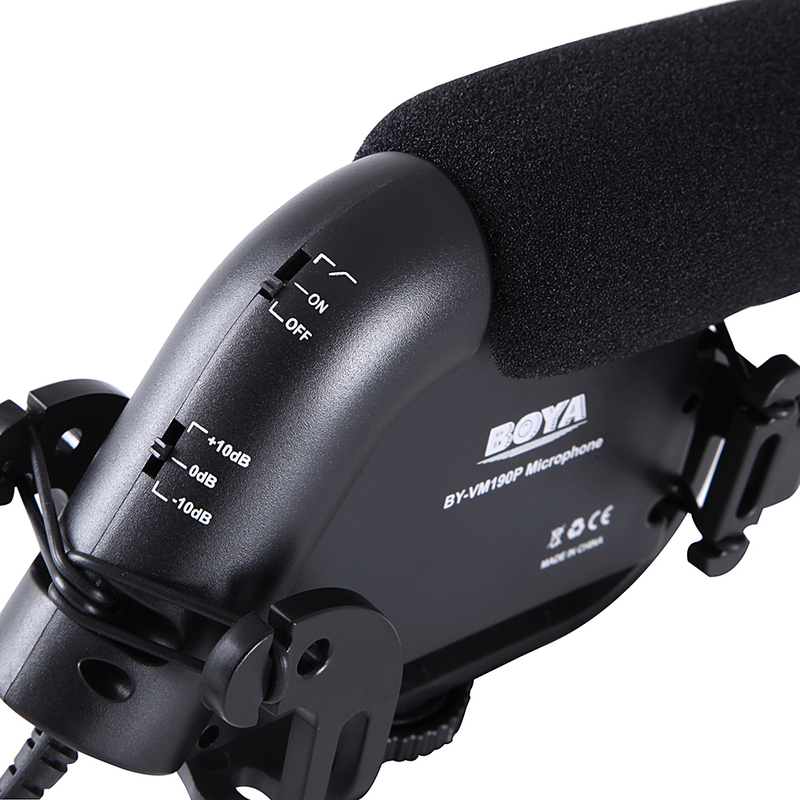 With three gain settings (-10dB, 0dB, +10dB), helpful to adjust the level of sound capture. The power/ low-cut switch can set the MIC to a flat frequency response or engage the 80Hz high pass filter. 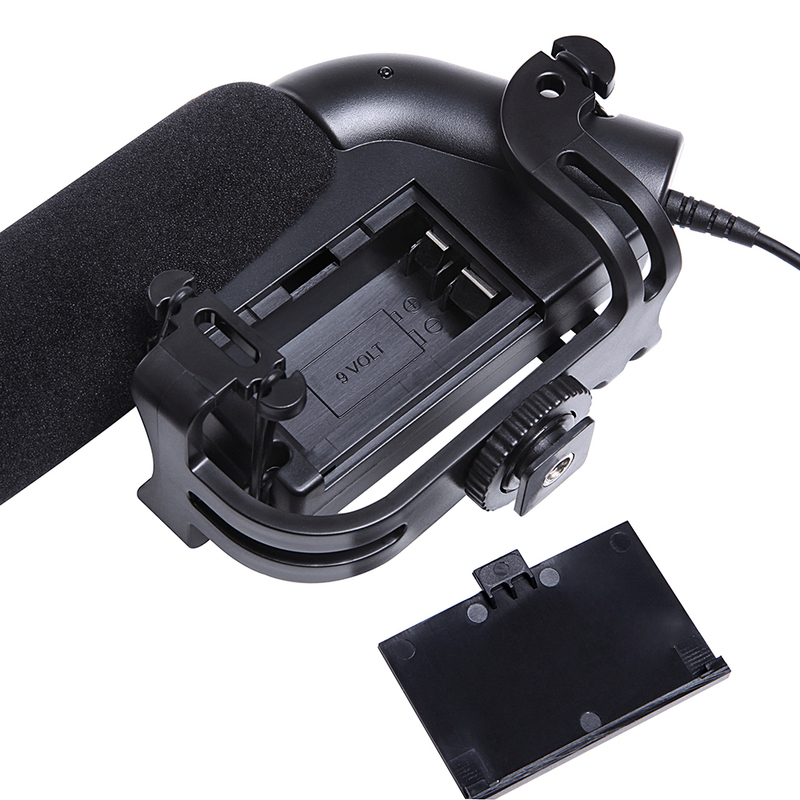 The shock mount with hot shoe and 1/4" screw hole, can be installed on the camera or tripod easily. 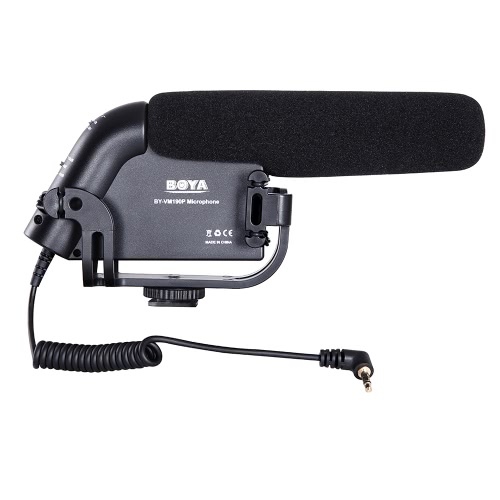 3.5mm plug design, suitable for most DSLR cameras, camcorders, DV and audio recorder. Comes with a sponge cover, a windshield and a carrying bag. 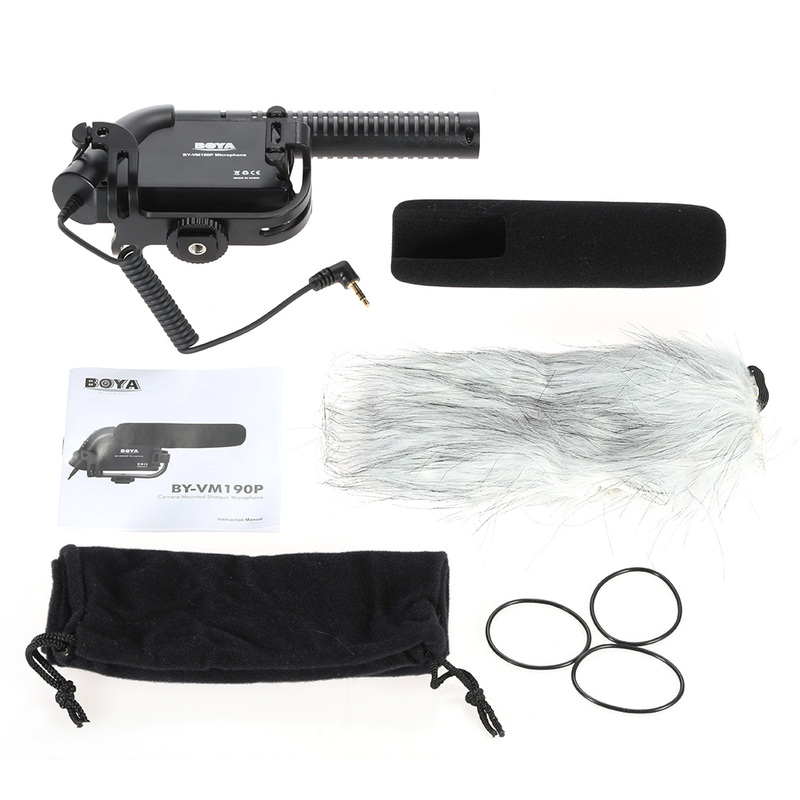 The camera, tripod and battery are not included.